The first authorized inside look at a major mutual fund company! Vanguard is, in the eyes of man, the most influential mutual fund company in America. 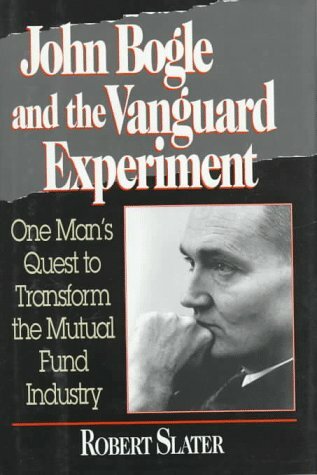 Now the Vanguard Experiment chronicles Vanguard--from startup in 1975 to the second-largest mutual fund company in the nation today and the industry's number one sercice firm--reveals how John c. bogle, Chairman of the Vanguard Group, realized his remarkable vision to build a company with over $160 billion in assets and a reputation for keeping costs low and putting the interests of the investor first. Revolutionary, iconoclastic, and uncompromisingly committed to his founding principles, bogle stands alone in an industry that grows increasingly greedy for higher sales charges and management fees. The Vanguard Group is best known for shining a beacon on a low-cost, customer-oriented approach that other mutual fund companies cannot ignore--and may ultimately follow. the Vanguard Experiment reveals: The Vanguard philosophy, including Bogle's "press on regardless" motto that helps the company stand behind its revolutionary tactics despite criticism from the rest of the industry; Bogle's role as the "conscience" of the industry, and his desire to reform many of its practices; The three crucial decisions made at Vanguard over the last 21 years, including: the 1975 "Vanguard Experiment", the decision to "go no load" in 1977; and the internalization of a large part of Vanguard's investment management efforts in 1981; Background on John C. Bogle, including his early years at Princeton, his career with the Wellington Management Company during the '50s and '60s, and the first frustrating years of Vanguard; In-depth interviews with jack Bogle, Jack Brennan, and other mutual fund leaders; A rare inside look at the legendary money manager Joh neff and Vanguard's Windsor Fund.